It’s survival of the fittest at the Dawn of Man — but it helps if you’re getting tips from an extraterrestrial intelligence…. Kind of a light week last week. I’m writing these from memory too, so you might see some editing after a while. Birds of Prey #69: Written by Gail Simone and drawn by Ed Benes. Murders, a cult, and the costumes of dead superheroes combine for the first part of a storyline spotlighting Huntress. Since she has to go undercover at said cult, there is a certain “Charlie’s Angels” feel to some of the scenes, especially when she gets hassled by the local sheriff’s department. The book has just come off a multi-part odyssey through Black Canary’s martial-arts past, which was entertaining but hard to remember from month to month. This looks like a good change of pace. The cliffhanger ending is effective, if not unexpected. DC Comics Presents Batman: The first of DC’s Julius Schwartz tribute books takes its cue from Batman slacking off to watch TV. The book has two stories with TV themes. The first, written by Geoff Johns with art by Carmine Infantino (the artist who redesigned Batman for Schwartz in the ’60s), involves a murder on the set of a “Batman” TV show, with the real Dynamic Duo getting involved. The twist ending is clever enough, but I know I have seen something similar on the recent Batman animated series. 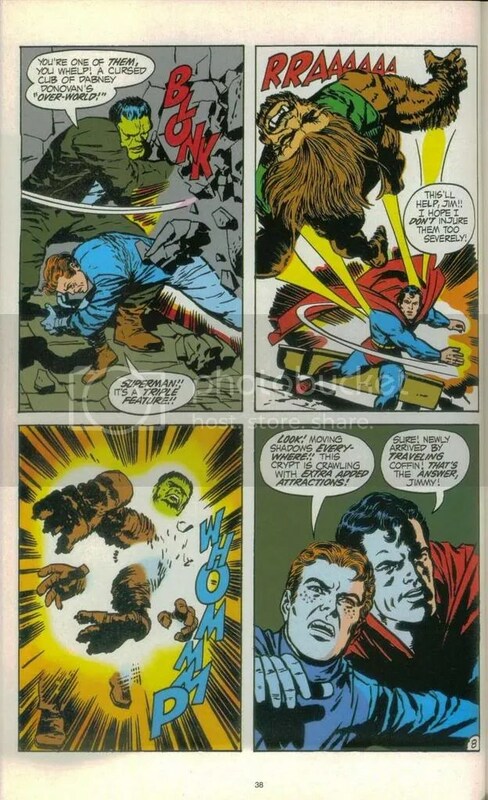 The second, written by Len Wein, is a little more satirical, and more fun. Someone’s been taping Batman and Robin and editing the bits together into a reality TV show. This story ends on a fairly trite note, but it gets points with me for satirizing both the “reality” genre and the editorial notion that Batman is a Bigfoot-like “urban legend.” Both stories are unusual for today in that they feature Batman and Robin working together, so that was a nice plus too. Firestorm #3: Written by Dan Jolley, pencilled by ChrisCross. For those who might not remember, as originally conceived Firestorm was the union of a teenager and a nuclear physicist. The teenager’s body controlled Firestorm, and the physicist provided unseen “backseat driver” commentary. The new Firestorm series has so far shown readers the new Firestorm’s sudden discovery of his powers, and the “fusion” he achieves with a second person. In this issue the “backseat driver” is our hero’s antagonist, who’s not so much a part of Firestorm as he is trapped inside Firestorm’s head. The drama comes from needing to find a way to separate the two people before the “backseat driver” is killed. I didn’t expect the outcome, but I did want more closure, since this is the end of the first arc. The most I got was the notion that Stormy’s new secret identity will use his powers to escape his unquestionably bad life. (Peter Parker has it 10 times better than this kid!) Next issue, Firestorm gets visited by the Justice League, who remember the old guy and don’t know who the new one is. Captain America and the Falcon — Madbomb: Jack Kirby co-created much of the early Marvel comics (the Fantastic Four, the Hulk, the X-Men, the Avengers, etc.) in the early ’60s, but ended up leaving Marvel very publicly in 1970 to go to rival DC. There he created the groundbreaking “Fourth World” series and gave DC one of its most enduring villains, Darkseid the Destroyer. 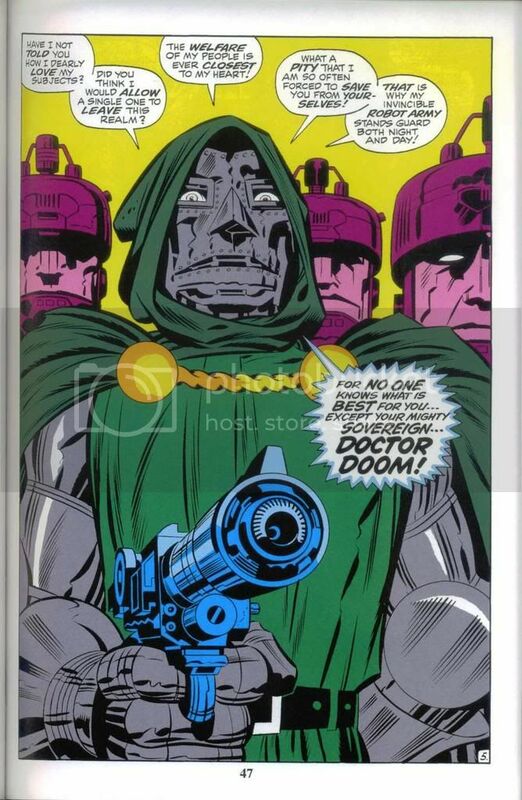 Kirby returned to Marvel in the mid-’70s, where he worked on various esoteric projects like Devil Dinosaur and a comics adaptation of 2001: A Space Odyssey. He also wrote and drew Captain America, a character he co-created with Joe Simon in 1941. Cap had fought in World War II but then was frozen in an iceberg at the end of the war, and thawed out by the Avengers some 20 years later. I was excited to read Madbomb for a couple of reasons: because its first cover was all over Marvel’s Trapper Keepers when I was in elementary school; and because I was expecting mind-blowing Kirby action taking up where the Fourth World had left off. Well, compared to his epics, Madbomb is a pretty ordinary story. Basically, a group that wants to roll back democracy has developed a mind-control device which causes riots, and they’ll set off their “Big Daddy” bomb on July 4, 1976. 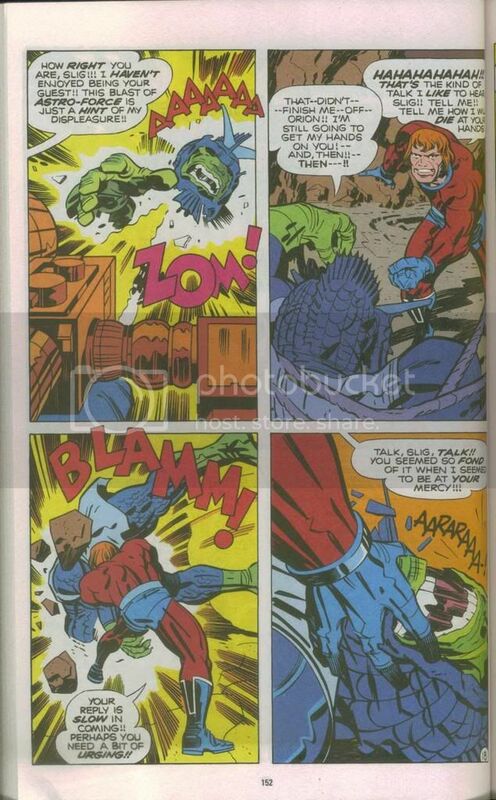 It’s mostly action without a lot of the social commentary Kirby had put into his earlier work. Considering that DC had just gotten a lot of attention in Green Lantern with a couple of superheroes traveling across America and righting social injustices, this is doubly surprising. 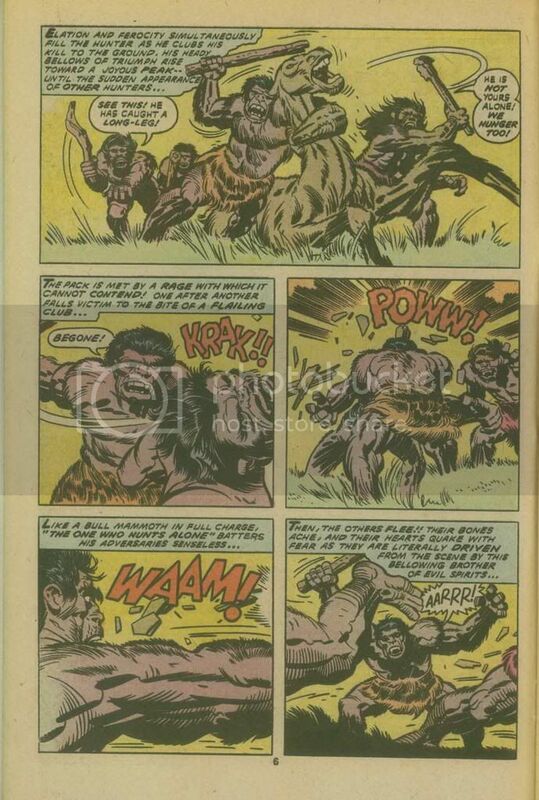 The African-American Falcon makes a few ironic remarks about being descended from slaves, and the villains dress like George III, but other than that, and Cap’s romantic interlude with a terminally ill woman, not a lot of thinking getting in the way of the action. 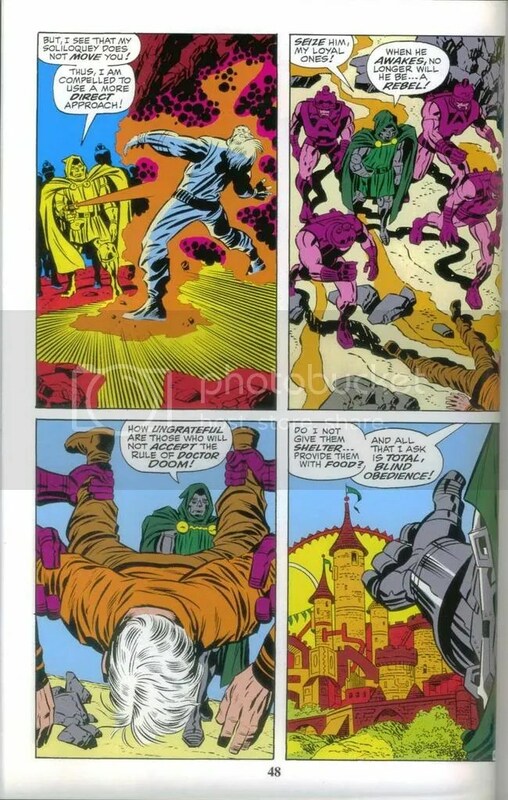 Still, it is Kirby, which means the action is very well done. 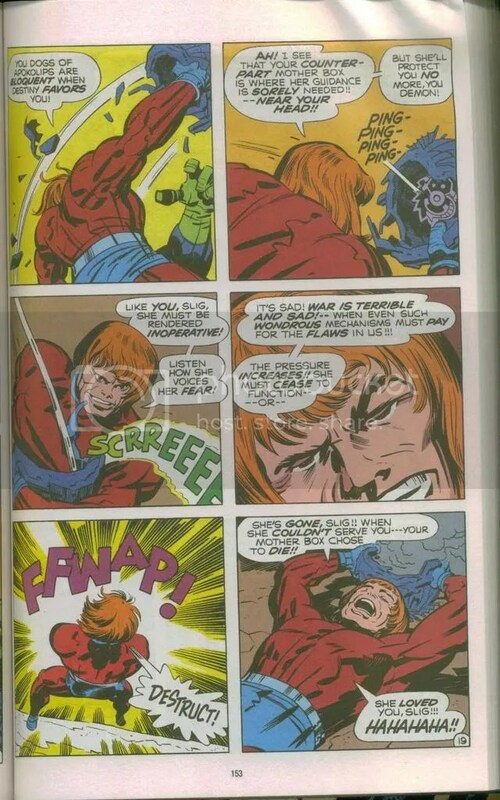 I know Kirby did more Cap in the ’70s, and from what I remember it was a little freakier than this. Fantastic Four #515: This is the second part of what looks like a three-part storyline featuring the new Frightful Four. As with Madbomb, there’s a lot less going on here than in other storylines, but it’s still reasonably well-done. Basically, a villain called the Wizard occasionally assembles a group of three other super-villains to take out the Fantastic Four. Here he’s enlisted his daughter to infiltrate the Fantastic Four by seducing Johnny Storm, the Human Torch. I continue to be confused by the daughter’s role, and the Wizard’s insistence on having exactly four members in his group, but it does provide a plot point about midway through the issue. FF alum Karl Kesel helps out regular writer Mark Waid here, and regular penciller Mike Wieringo is on vacation, so these feel like fill-in issues — but, as I say, reasonably good fill-ins. Supreme Power #11: This installment of Marvel’s “mature” take on familiar characters centers on Zarda, a beautiful naked woman, explaining to Superman-analogue Hyperion their shared history. The short answer: they’re supposed to take over the world. Doctor Spectrum (think Green Lantern), still working for the U.S. military, continues to look for Hyperion, aided by the power prism which has a mysterious connection to Hype. Meanwhile, Nighthawk (i.e., Batman) enlists the Blur (the Flash) to help him track down a serial killer. Since we’re at issue #11, and the book goes on hiatus after #12, it’s more than a little frustrating to feel like writer J. Michael Strazcynski is still setting things up. A lot could happen in #12, but given the pace of the book so far, I doubt it. Zarda, originally conceived as the Wonder Woman-analogue, is defined here by three qualities: naked, beautiful, and evil. Not the best combination for someone whose model is a feminist icon. Back in a few hours with this week’s books, fresh from the shop!